Reserve Your Boat Tour Today! Anna Maria Island boat tours from M/V Minnow is Anna Maria Island, Florida's premiere boat tours and charters destination. Anna Maria Island boat tours are the perfect tourist & family activity! 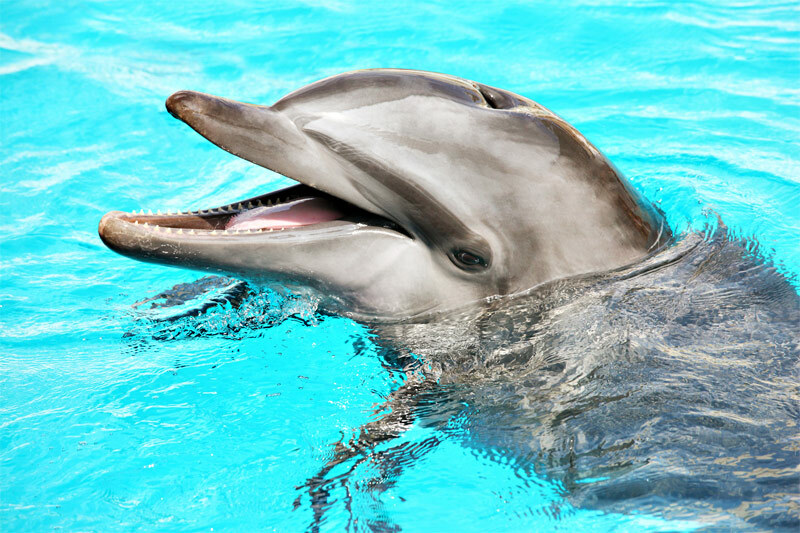 If you're looking to sail around Anna Maria Island, visit Egmont Key, observe dolphins playing in the crystal clear waters of the Gulf on our dolphin tours, then you've come to the right place! 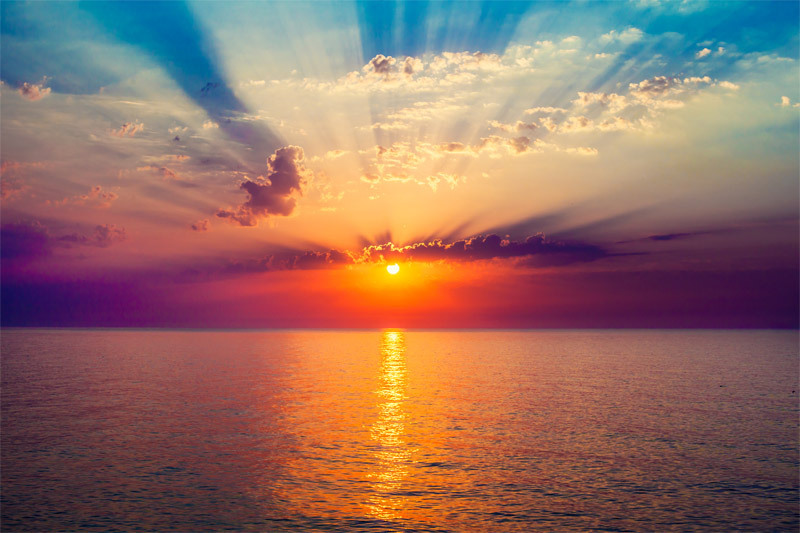 Watch the sunset over the magnificent horizon on a sunset cruise. Take Anna Maria Island boat tours and dolphin tours around the cities of Bradenton Beach, Holmes Beach, and Anna Maria, while you soak in the rays and learn more about this wonderful little island. 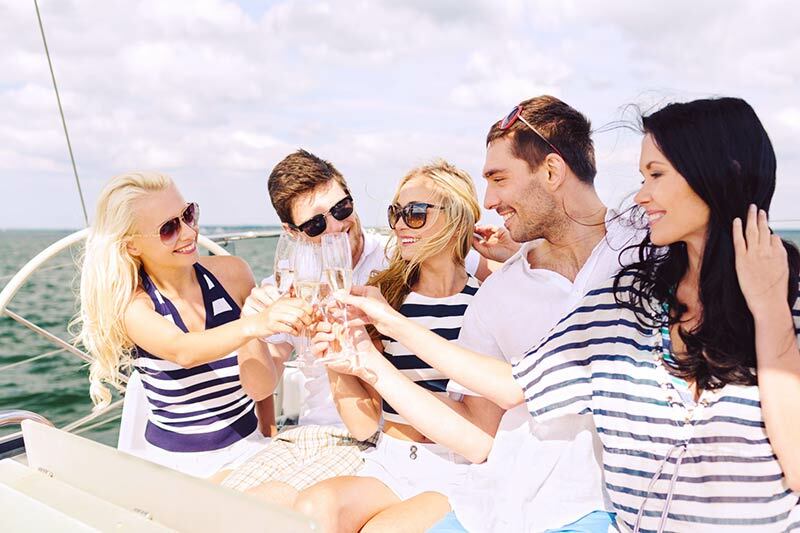 In addition to our regular morning, afternoon, and sunset cruises, you can celebrate your next event with an Anna Maria Island Boat tour on M/V Minnow's Private Charters, the perfect venue for birthday parties, weddings, anniversaries, corporate events, and reunions. 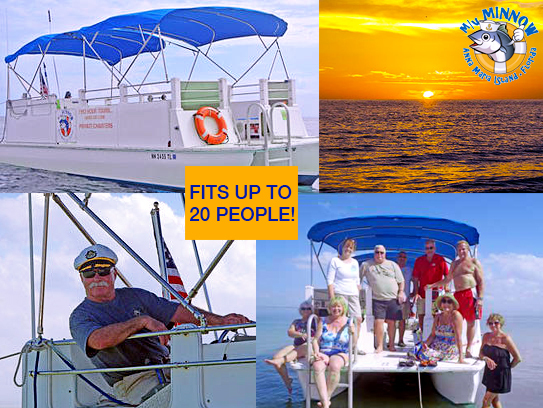 Our Anna Maria Island boat tours accommodates up to 20 people, so bring your friends and come aboard the M/V Minnow, guided by the knowledgeable and friendly Captain Frank Jones! Don’t forget your bathing suits, cameras and binoculars! Alcohol is permitted on the boat so bring your snacks & beverages! Kick back and relax island style with a personal cruise on the beautiful waters that surround Anna Maria Island. We offer excursions to Egmont Key, dolphin watches, sunset cruises and of course, private charters. For more personalized details, be sure to contact Captain Frank Jones. Anna Maria Island is a beautiful barrier island stretching 7 miles on the Gulf of Mexico. 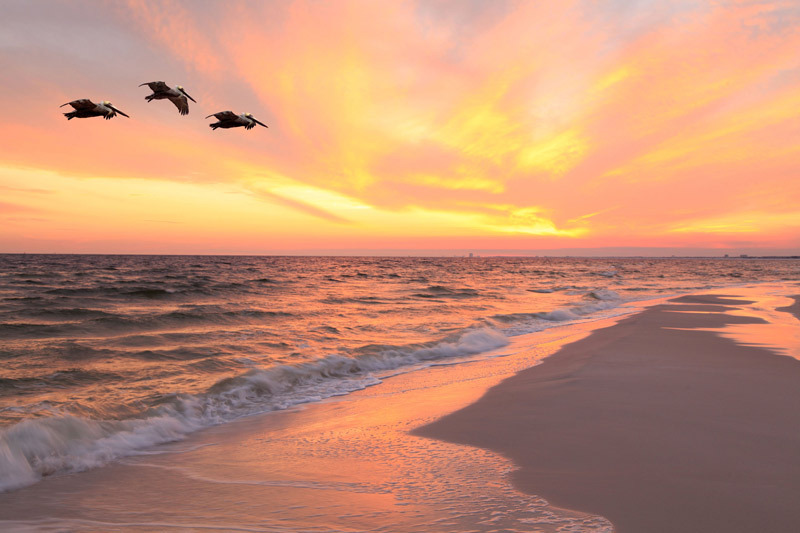 Once considered a hidden gem, Anna Maria Island is now known by many to be tropical paradise, due to its blue-green waters, warm temperatures, and white sandy beaches. 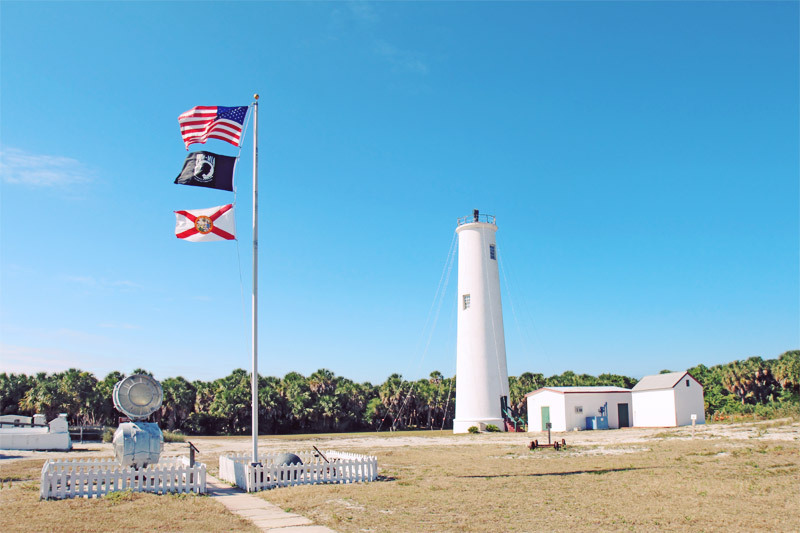 The island is divided into 3 cities: Anna Maria, Holmes Beach, and Bradenton Beach, all of which cater to tourists with plentiful restaurants, shops and attractions. Whether you're fortunate enough to live here or are just vacationing here for the first time, you surely don't want to miss out on Captain Frank Jones's boat tours of this beautiful little island! Come Relax and Reserve Your Boat Tour Today! Alcohol is Permitted on the Boat so Bring your Snacks & Beverages!